Get Pre-Approved Courtesy of RE/MAX Real Estate Centre Inc.
You and your REALTOR® have been working diligently finding that "perfect" home. A new listing comes on the market that's priced right and has got everything you've been looking for. You write an offer. Your REALTOR® takes it to the listing REALTOR® and is informed that another offer is coming in and will have to present both offers simultaneously to the Seller. The other Buyer is pre-approved for his loan. Whose offer do you think the Seller will negotiate first? 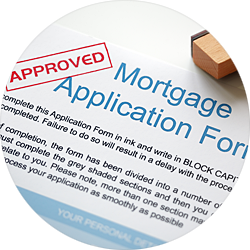 Should You Get Pre-Approved for a Loan First? Most Definitely!